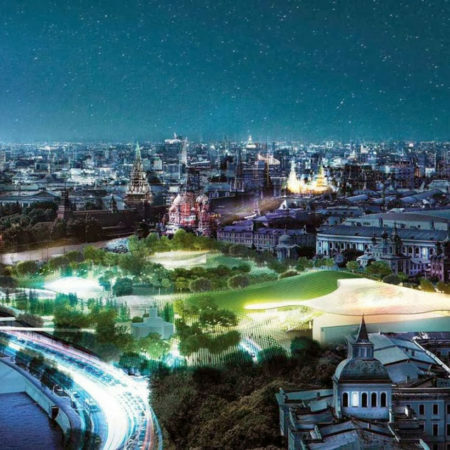 Strelka KB is a Moscow-based multidisciplinary strategic consulting, urban planning and project management company operating across 365 cities in such spheres as city architecture, economics, anthropology, city design, and data with projects nationwide. 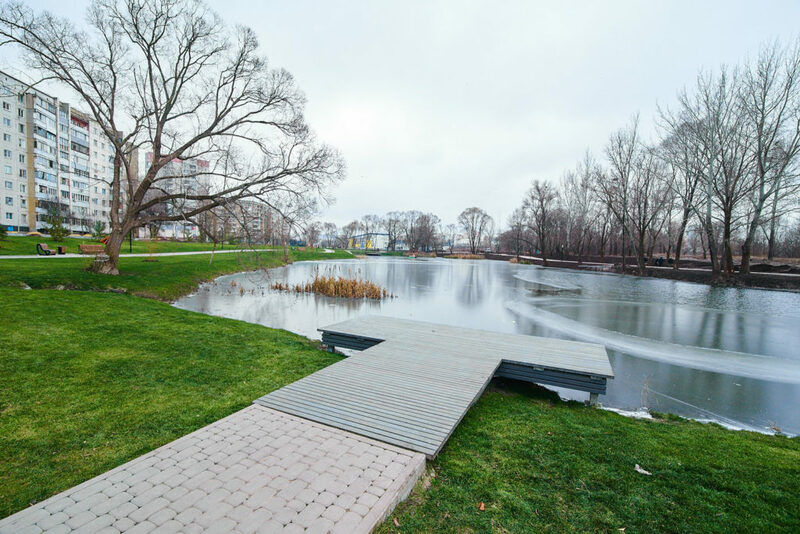 It is a public-benefit company investing its profits in the educational and public outreach programs of Strelka Institute. 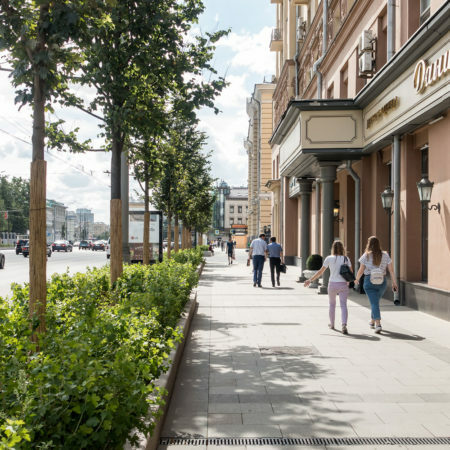 Strelka KB’s central aim is to effect a qualitative change in the Russian urban landscape and create a comfortable and modern environment in cities. 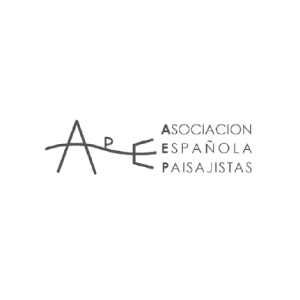 Their inhabitants should have opportunities for development, creativity, the education of their children, opening businesses and coming up with new products. 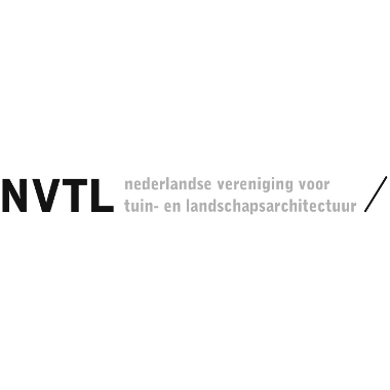 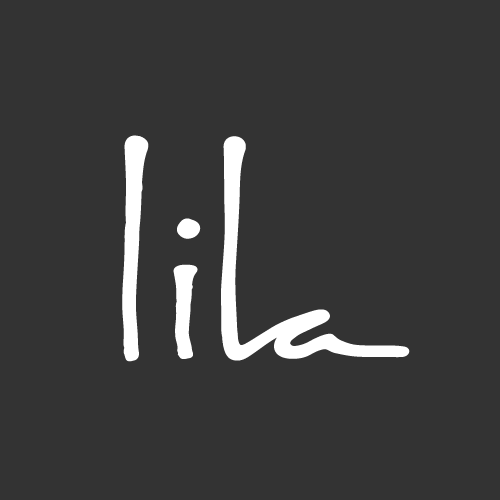 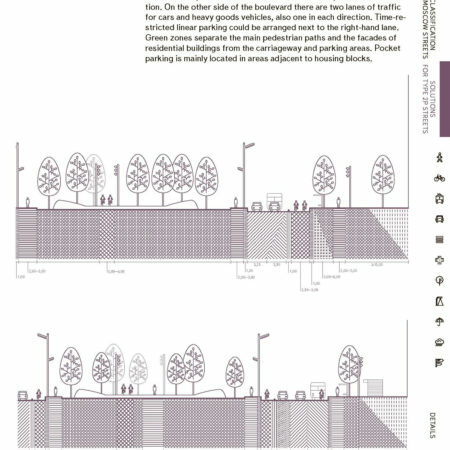 – Multidisciplinarity: Urban renewal projects in all aspects of people’s lives – education; science; healthcare; culture; streets, squares and embankments; parks; transport infrastructure; and city development. 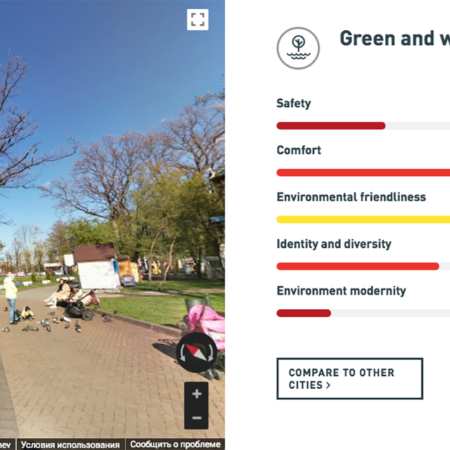 – Integrity: By recognizing the environment as a system of interconnected elements, Strelka KB facilitates communication between all stakeholders. 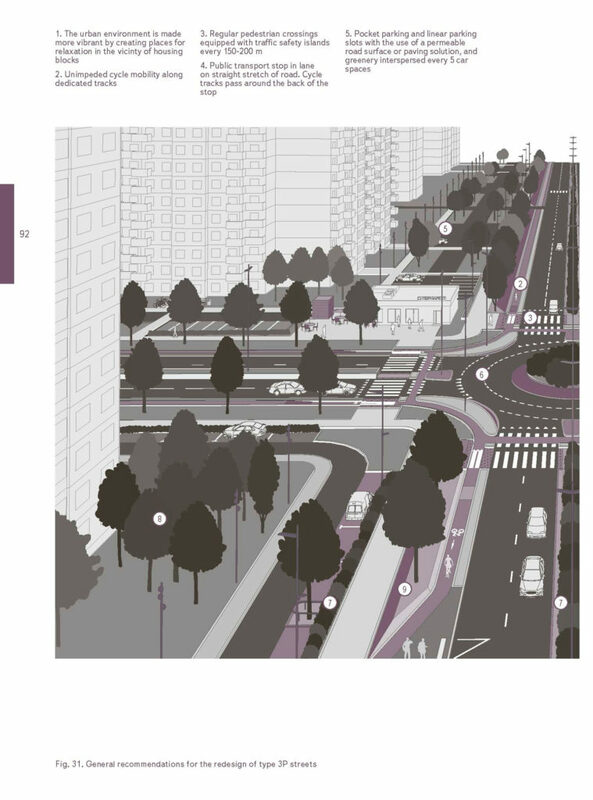 – Consistency: End-to-end management: from city strategies to the supervising of city projects implementation. 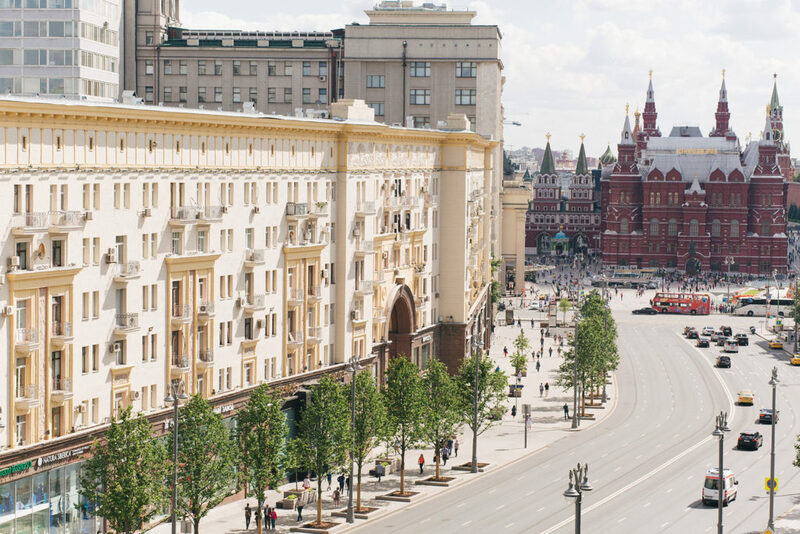 To effect change in the landscape of Russia, the starting point for any project is conducting comprehensive research, where both in-house, and foreign and local experts are consulted in various fields, from cultural heritage and digital anthropology, to transport and infrastructure. 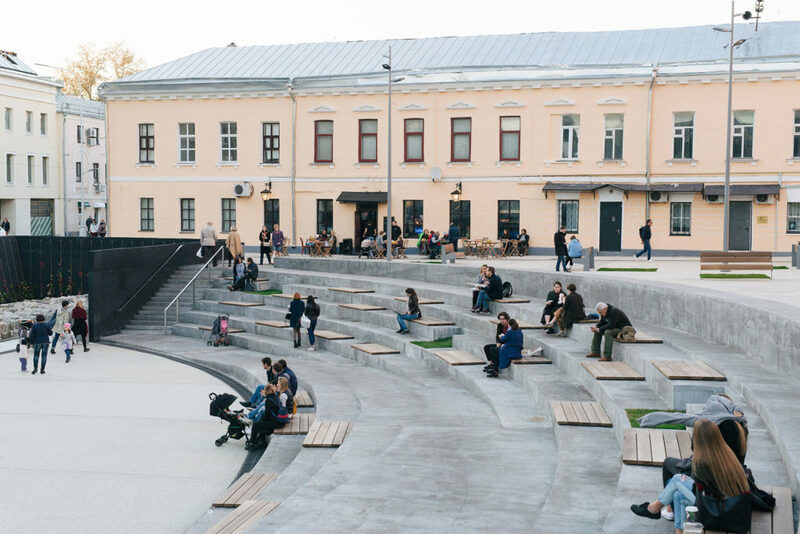 Today in addition to 350 employees, Strelka KB utilizes an extensive network of over 3,0000 experts that spans 50 countries worldwide, which enables Strelka KB to handle all aspects of open space design: narrative, aesthetics, engineering, environment, social issues and artistry. 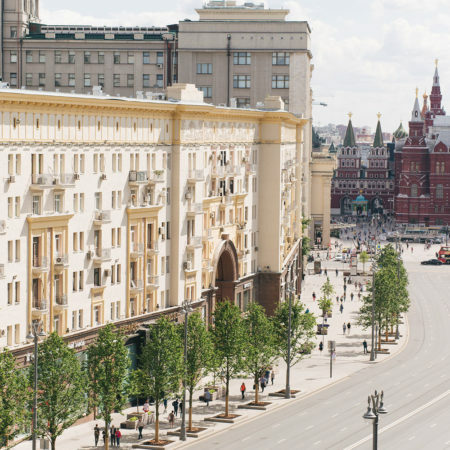 The idea of community is a new phenomenon only recently being formed in Russia. 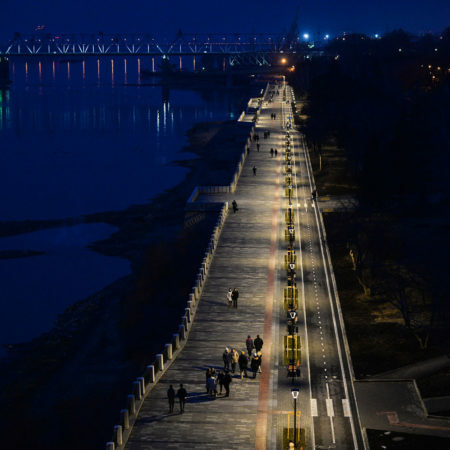 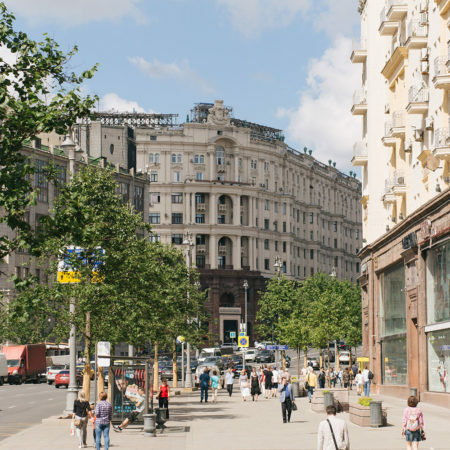 In 2017 through the crowdsourcing initiative called “Five Steps to Improve Everyday Life in Mono-Cities” with the online platform моногорода.рф (stands for Russian monocities.rf), Strelka KB has provided residents of mono-industry cities with the opportunity to propose ideas and vote on the improvements that can be made in their cities, within their communities. 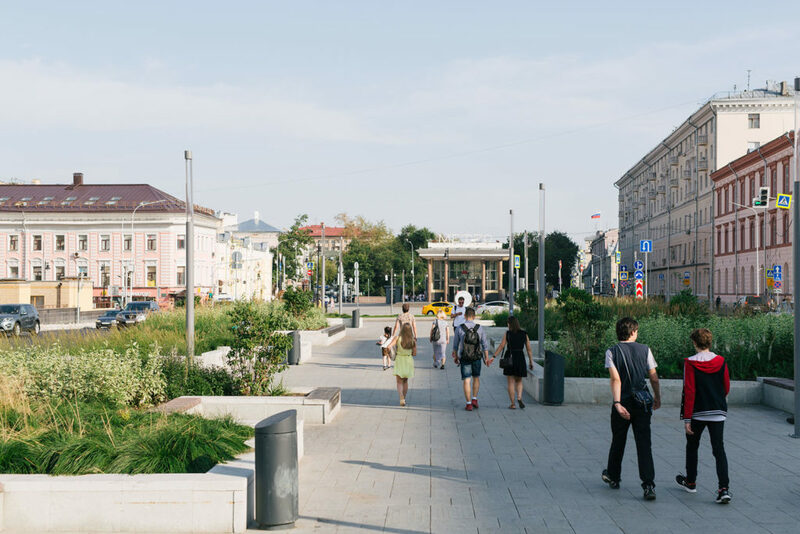 By facilitating dialogue between residents, design professionals and city officials, Strelka KB is promoting participatory urbanism, where that very same human capital that cities are competing for, is included in the decision-making process and is integral to the successful realization of urban improvement projects. 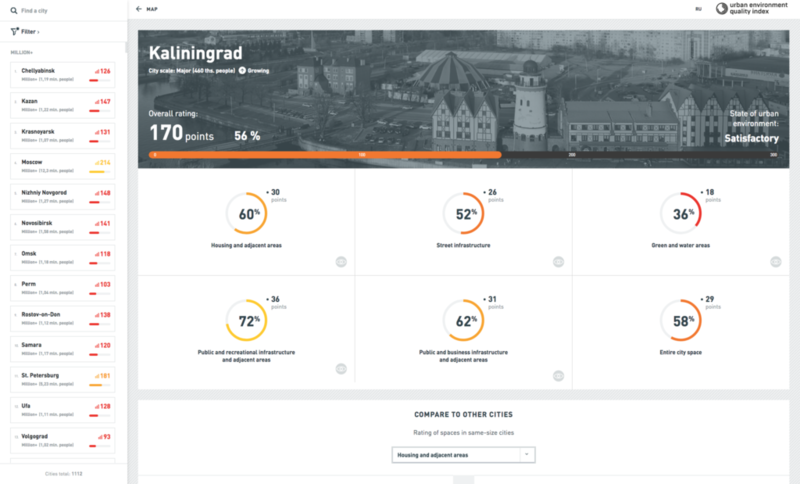 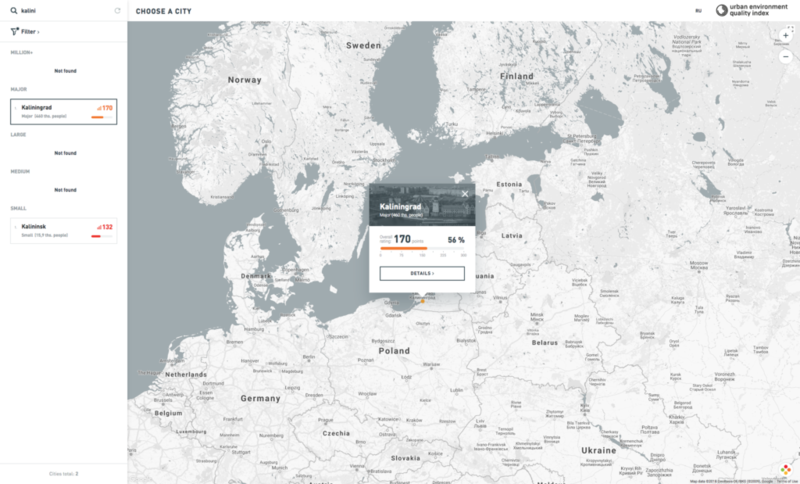 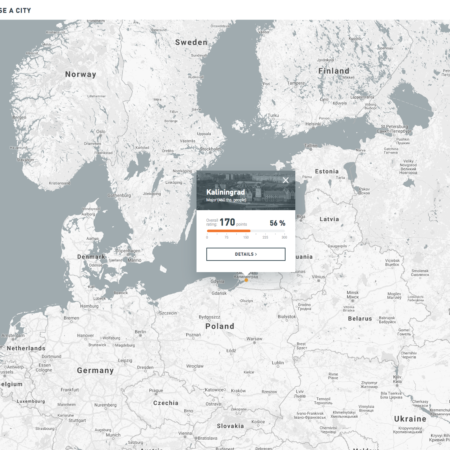 Strelka KB has carried out a comprehensive analysis of all 1,112 cities in Russia to assess the quality of the urban environment in each city and indexed the information on the public urbanindex.ru website. 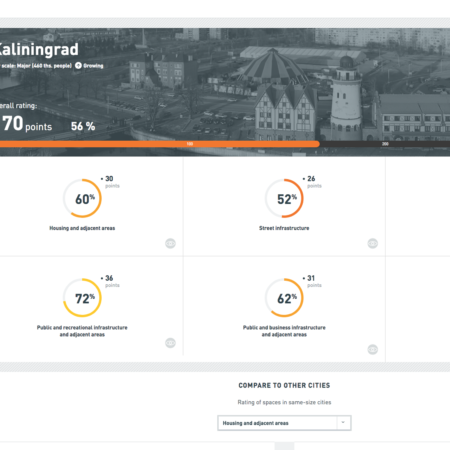 Aided by analysis of GIS data, social networks, space imagery and open data, full statistics were obtained for all Russian cities for the first time, giving municipal authorities and all citizens useful insight into the type of spaces most in need of development. 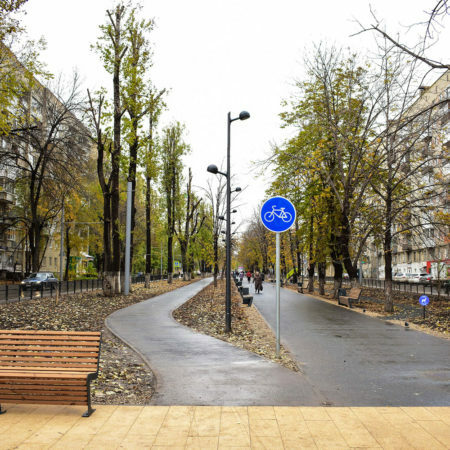 Strelka KB has also developed the Consolidated Standard for the Improvement of Moscow’s Streets — a document recommending planning solutions for bringing higher levels of comfort to the urban environment, which has been made use of in the updating of 212 sites in the capital. 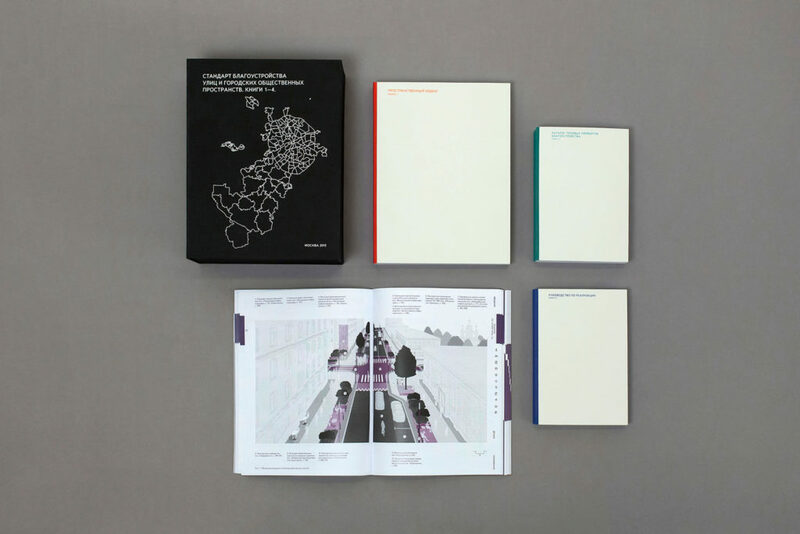 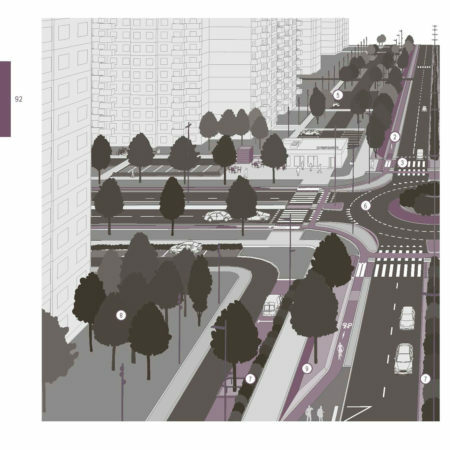 The Standards project is divided into four books, each of them covering particular aspects of street design. 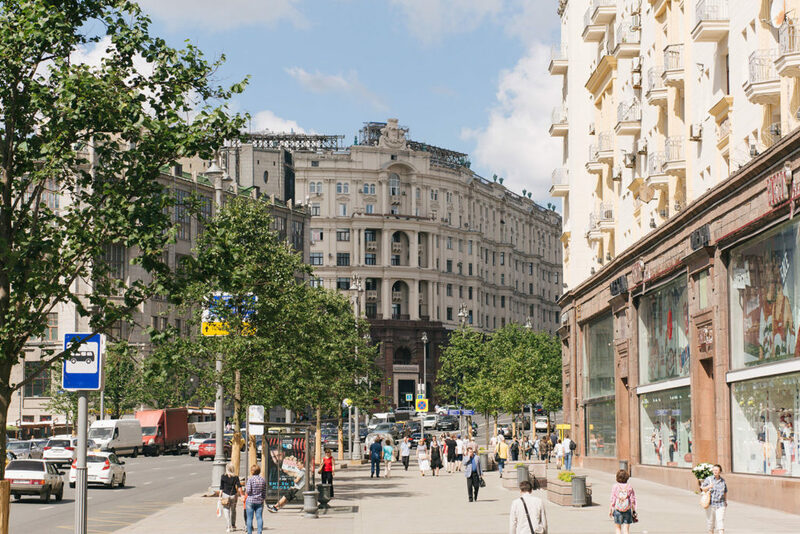 The first volume focuses on the typology and distinctive attributes of the streets of Moscow with collected and processed data on over 3,500 streets. 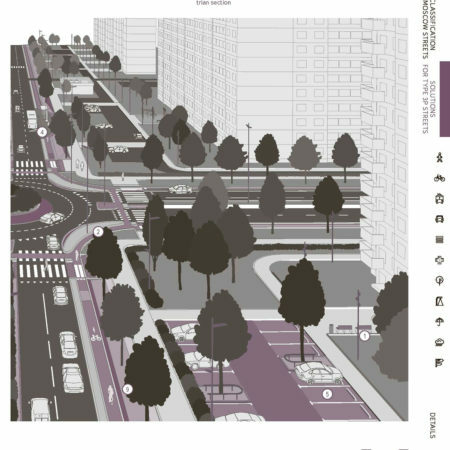 The second book describes the technical requirements for each type of street. 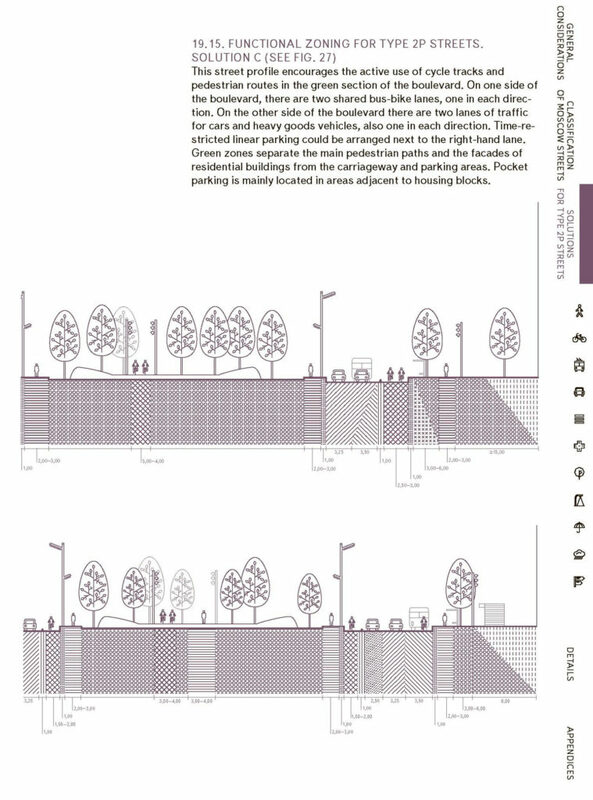 Strelka KB developed a general profile and functional zoning for each type. 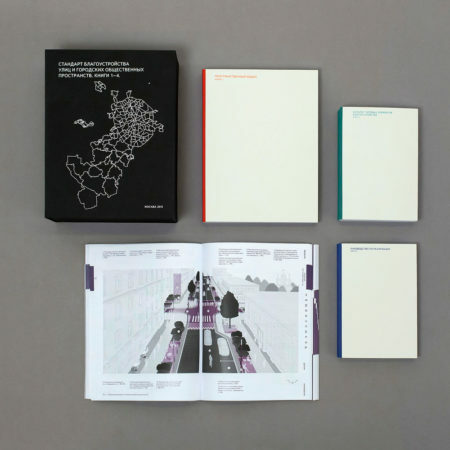 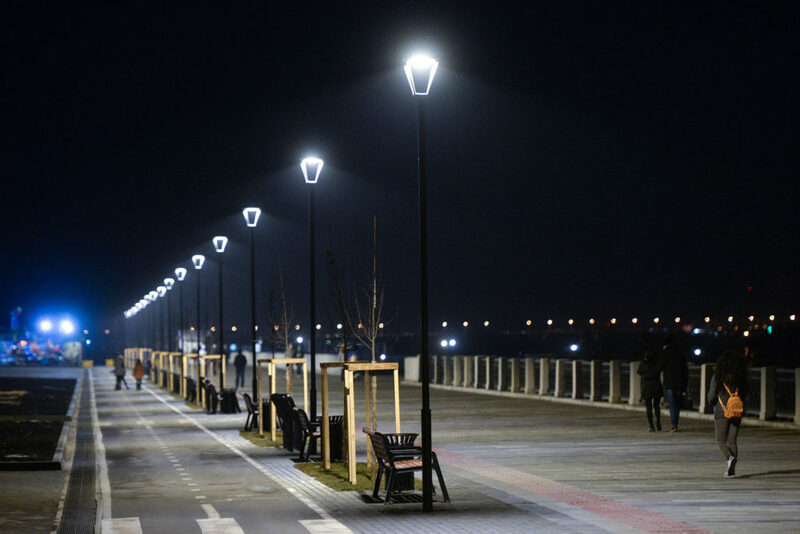 The third book describes eleven groups of design elements, including surface materials, benches, trash bins and lights. 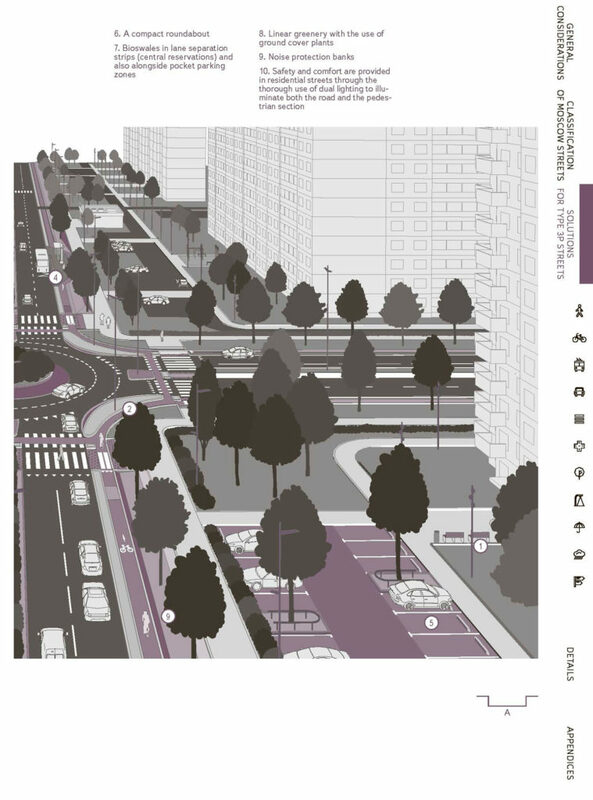 Finally, the fourth book focuses on the planning process: how to perform preliminary analysis, how to apply user opinions during the development and how to achieve quality implementation. 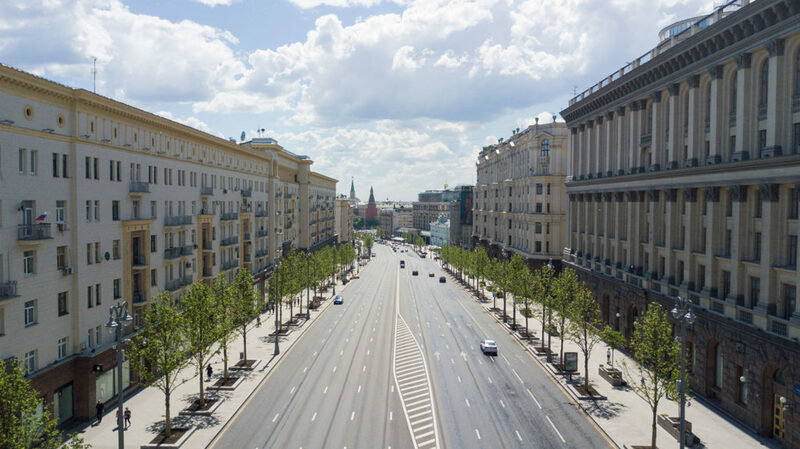 Leftover from Soviet days, the rigid, physical parameters for urban spaces did not take into account the city’s main users – people – and therefore have long lost their relevance in present day Russia. 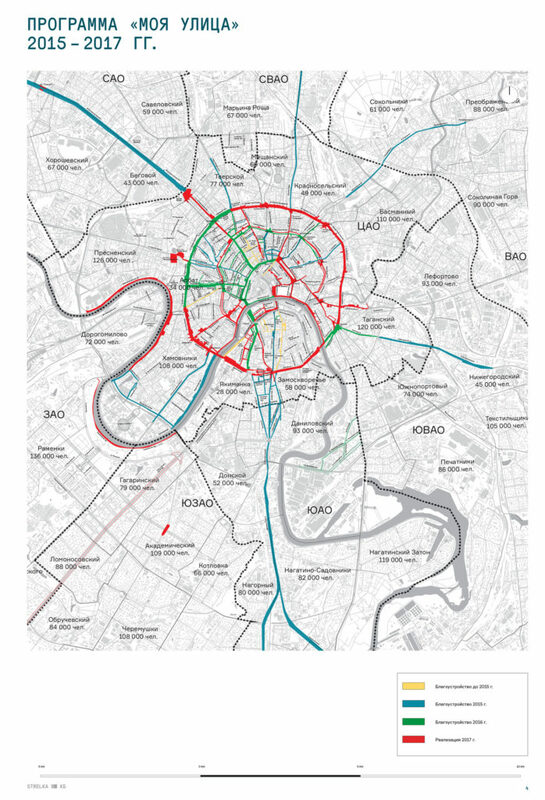 In 2014-2017 Strelka KB acted as consultant for the Moscow City urban renewal “My Street” program, that is part of the Moscow government’s Recreational and Tourism Strategy. 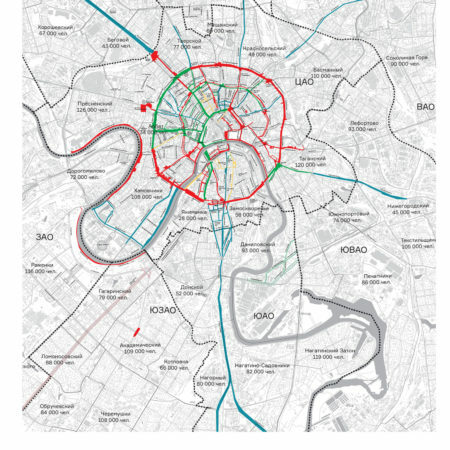 Based on Strelka KB’s complex analysis of over 3,500 streets in Moscow, set of design solutions to be implemented based on five key principles: diversity, safety, comfort, identity, and ecological performance. 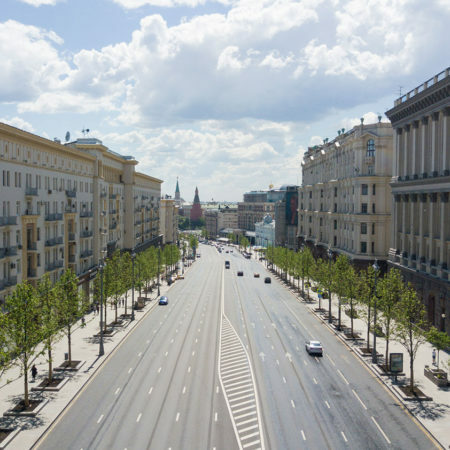 A score of international and Russian architecture firms were engaged in renovation of two hundred Moscow streets and public spaces, among them were West 8, Topotek 1, OKRA, Snohetta, Djao+Rakitine, Marta Schwartz, Meganom, BuroMoscow, Plan_B and others. 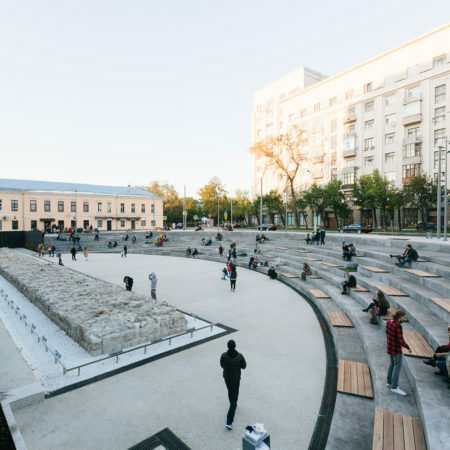 For example, the redesign of Khokhlovskaya Square, an amphitheatre with a 64-metre long reconstructed section of the historical wall of Bely Gorod, sought to create a public space that preserves the archeological find and at the same time gives it back to the city, changing Moscow’s approach to heritage. 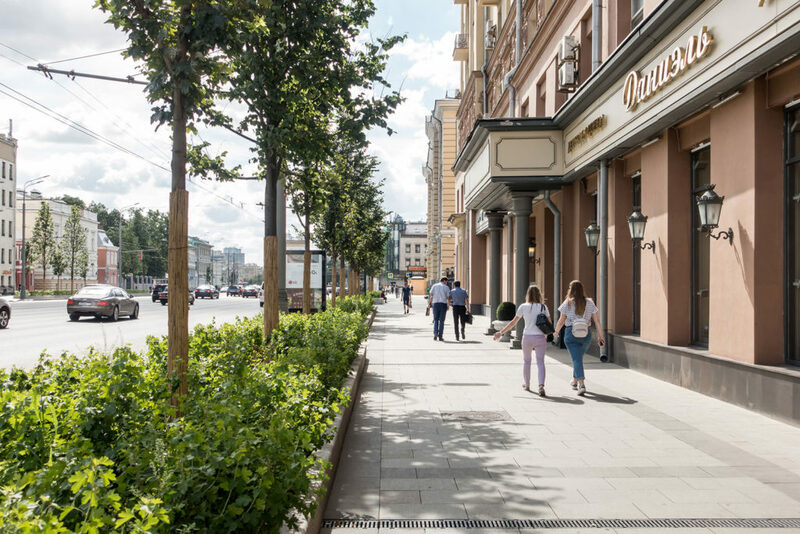 During the profound reconstruction of Tverskaya Street, 104 lindens were planted to serve not only as an aesthetic decoration, but also as an ecological shelter. 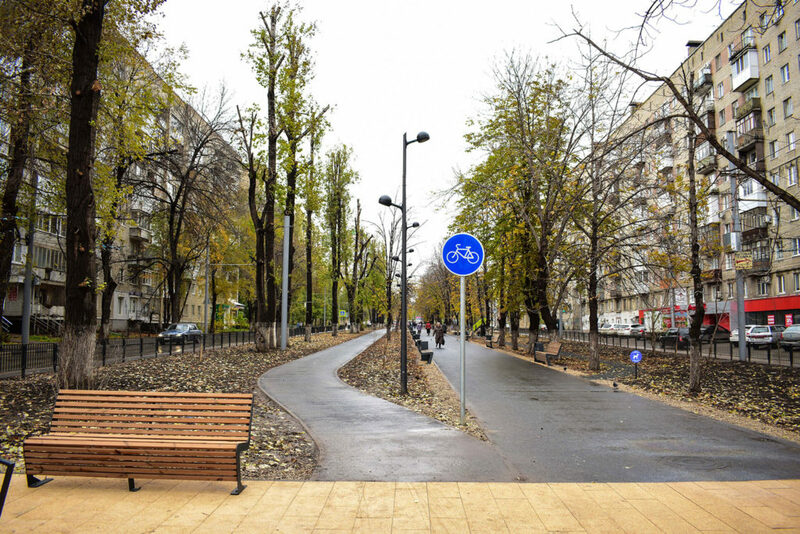 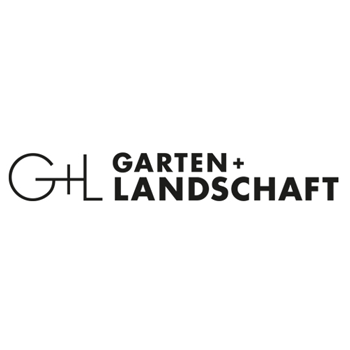 The project of the Garden Ring’s refurbishment aimed at turning it into a convenient and safe public spaces for pedestrians with an efficient public transport system. 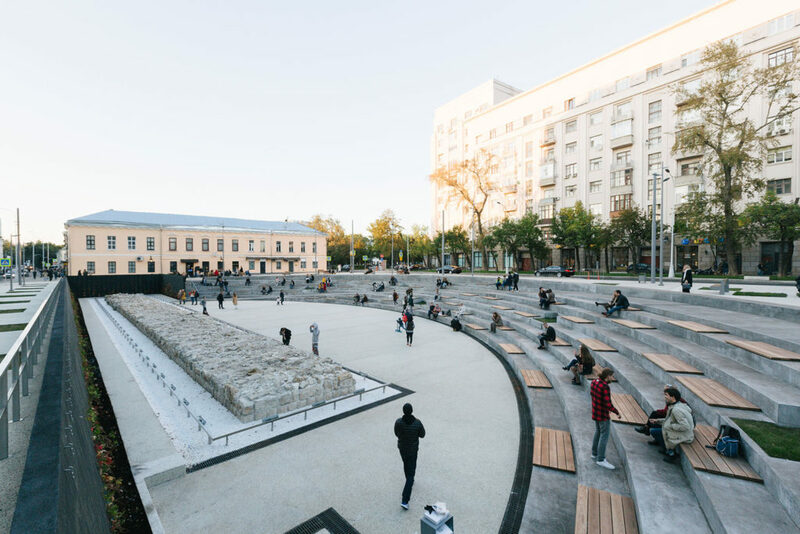 It drew together 18 architectural firms, ranging from star architects from all over the world to emerging architects as the main principle of the project was to open up the creativity of up-and-coming local talent, with Strelka KB acting as design mediator and consultant. 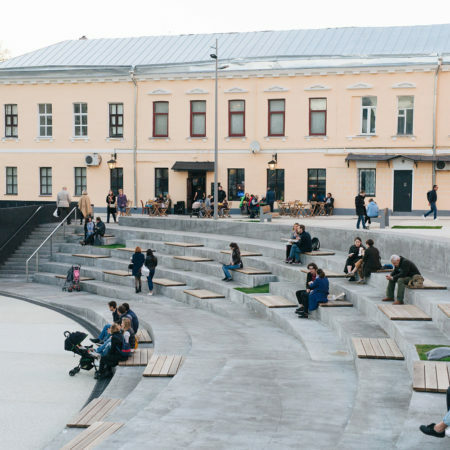 Strelka KB is the first company in Russia to run and manage design competitions in the post-Soviet era. 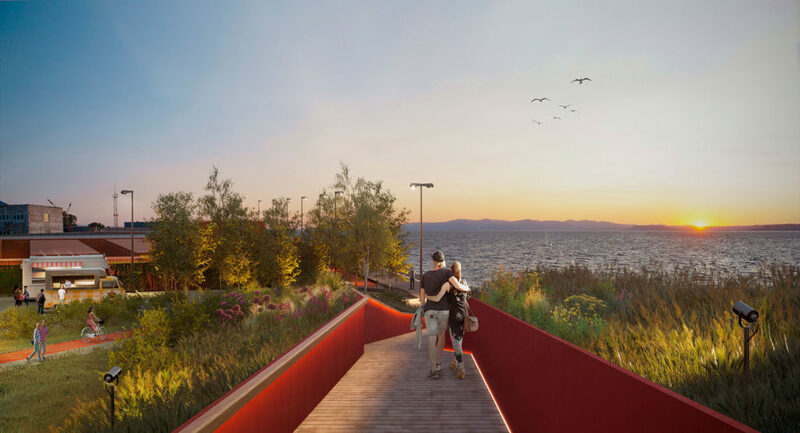 In addition to performing research pertaining to the specific competition, Strelka KB composes the technical brief, which shapes the model of the future project from the vision to a precise list of spaces. 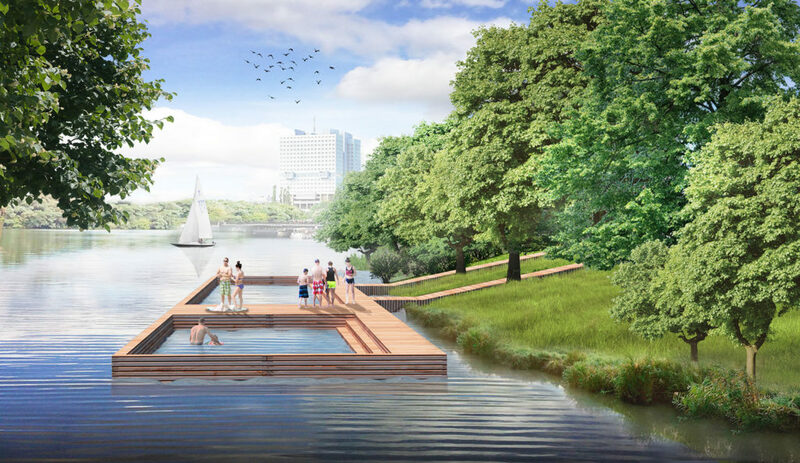 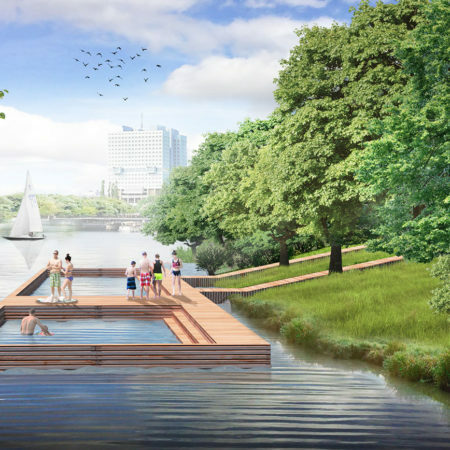 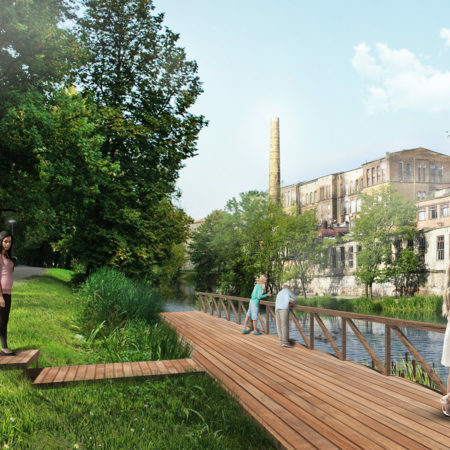 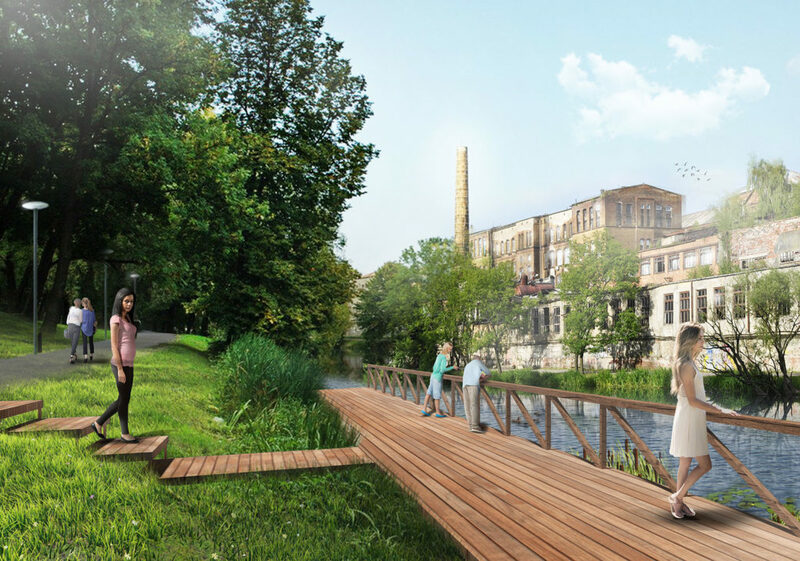 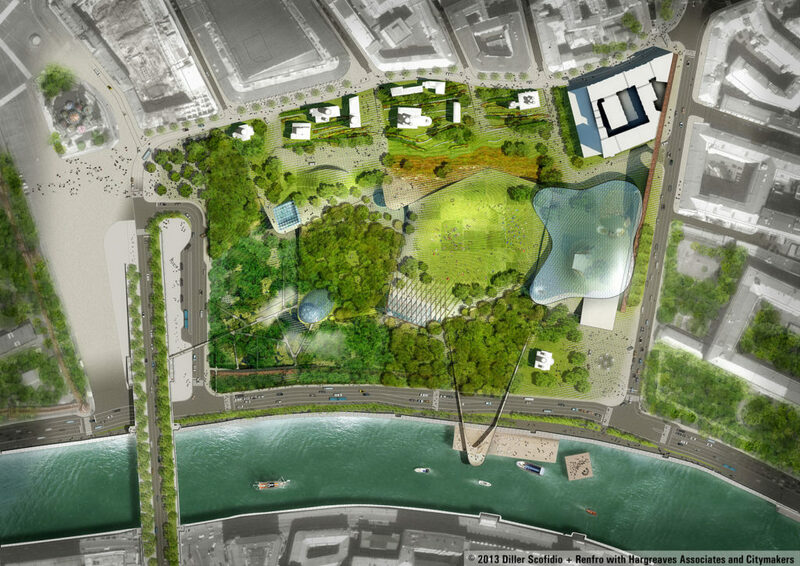 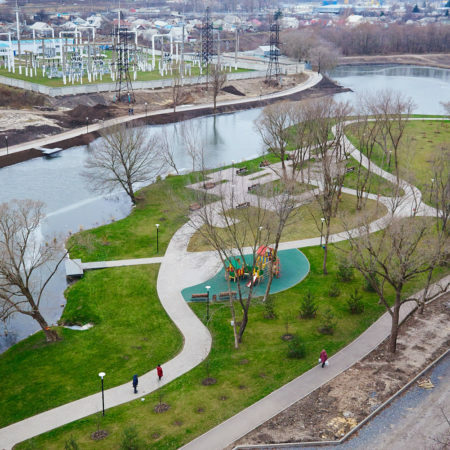 In 2013 the Moscow City Government commissioned the International Design Competition for Zaryadye Park run by Strelka KB, that created a comprehensive model of Zaryadye Park, Moscow’s first new public park in 50 years. 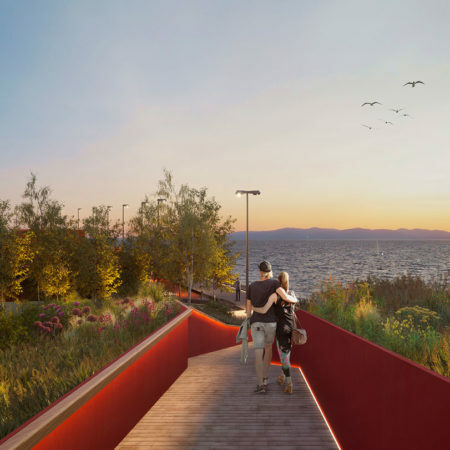 A design consortium spearheaded by New York-based Diller Scofidio + Renfro (DS+R) in partnership with Hargreaves Associates and Citymakers won the competition. 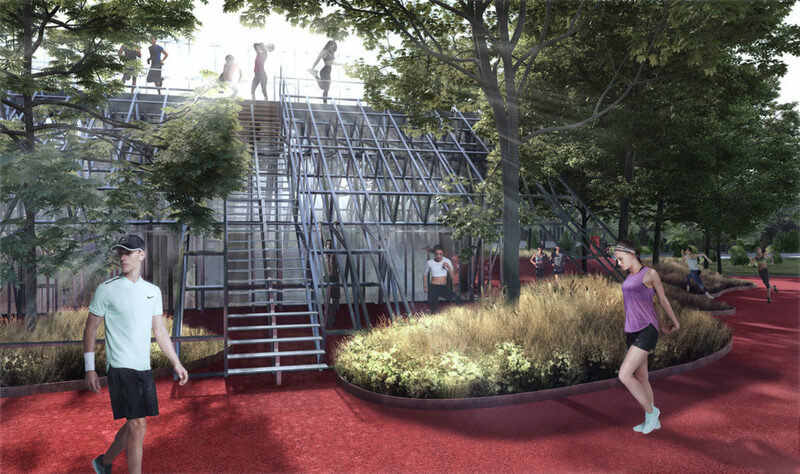 In 2016 Strelka KB was the first Russian company to hold an architectural competition on the international arena to select a concept for the design of the Tel Aviv University nanotechnology laboratory. 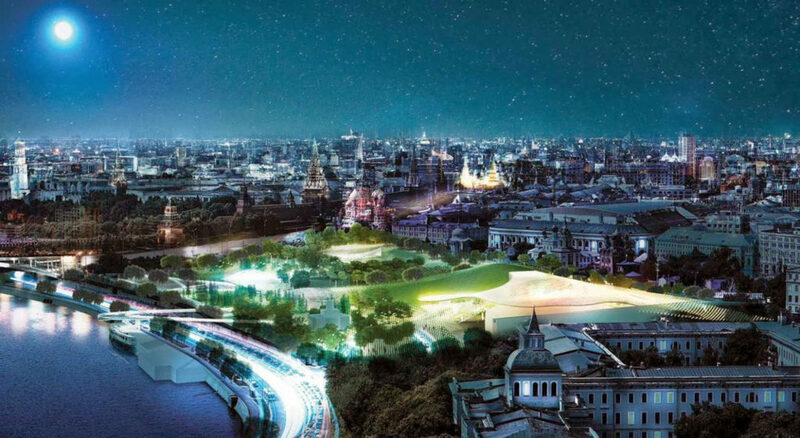 In 2017-2018 Strelka KB held an architect competition for the design of a new Nike sports facility in Gorky Park, located in the heart of Moscow. 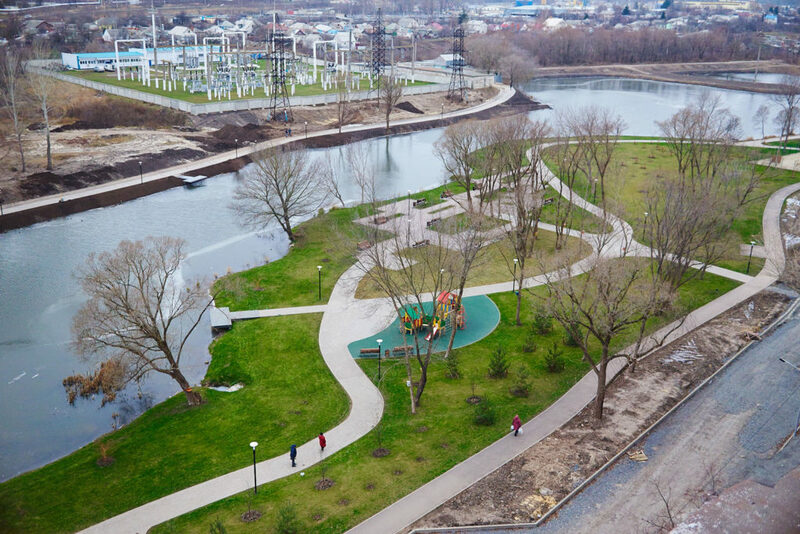 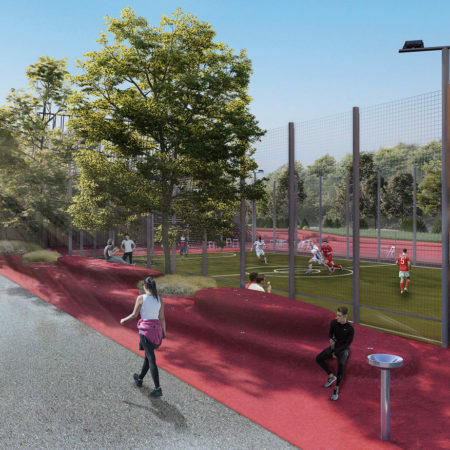 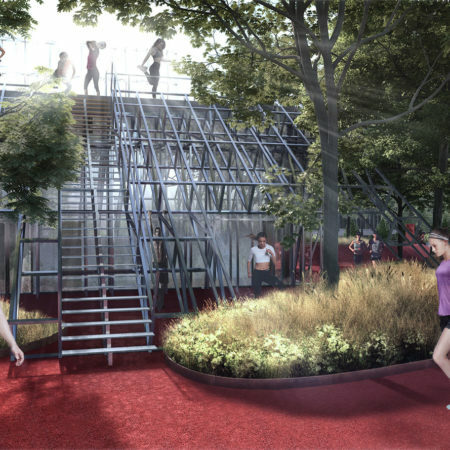 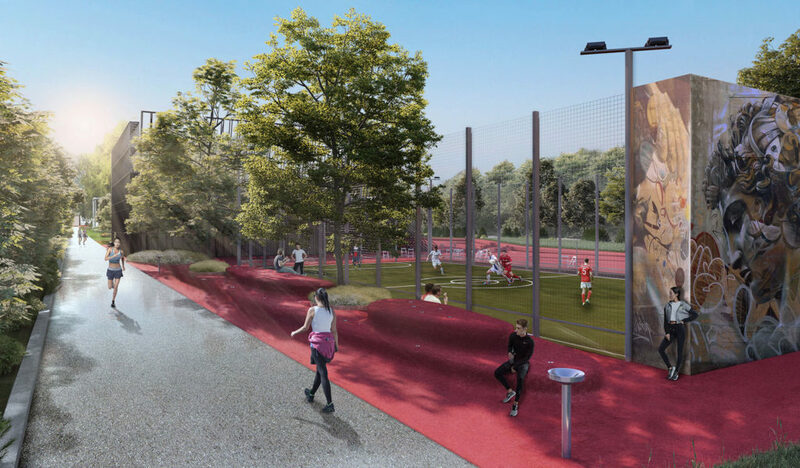 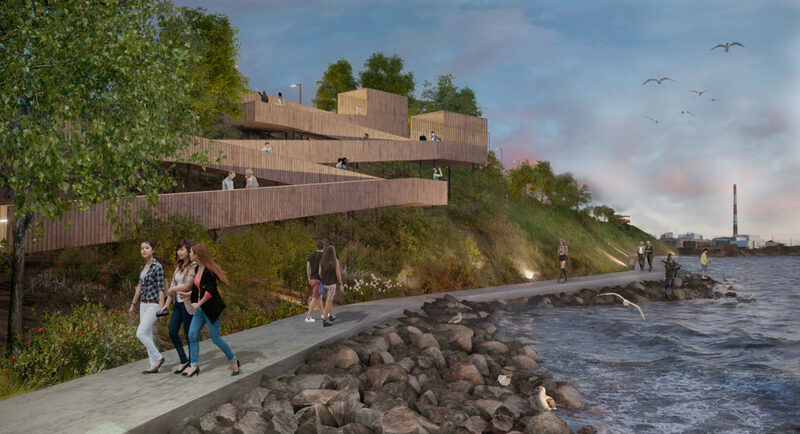 The competition selected five of Russia’s leading young architecture studios to envision a “unique architectural object” that integrates into the surrounding park environment, creating a landmark hub for sport and physical activity in Russia. 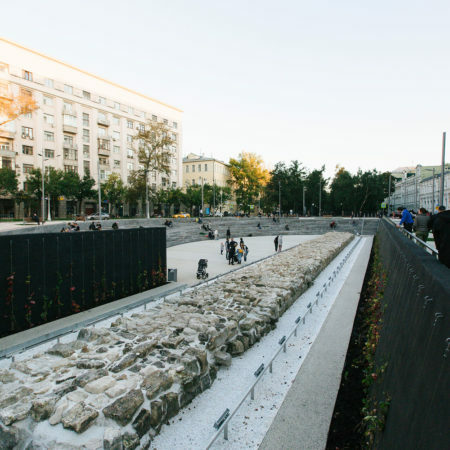 Strelka KB is organizing and overseeing the renovation of 235 public spaces with a total area of more than 1,200 hectares in 40 cities nationwide, a program which began in 2017 and is bringing beautification to a qualitatively new level. 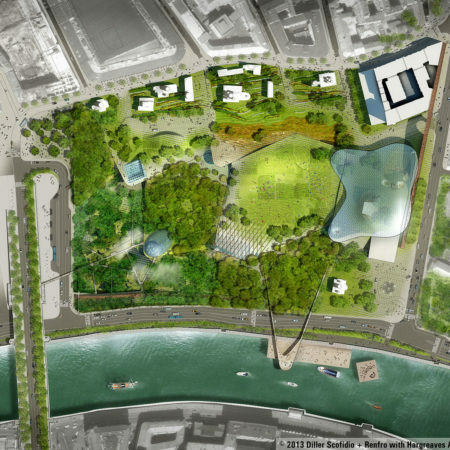 The list includes: 20 parks, 127 streets, 45 city squares, and 43 embankments. 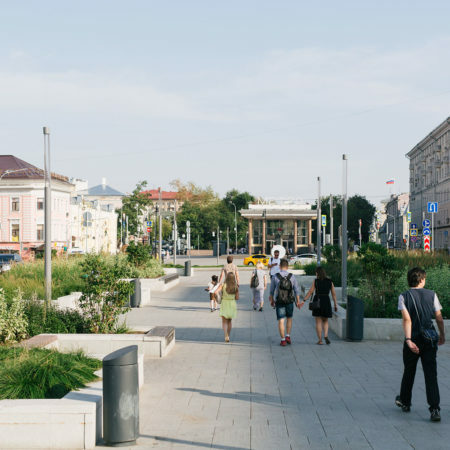 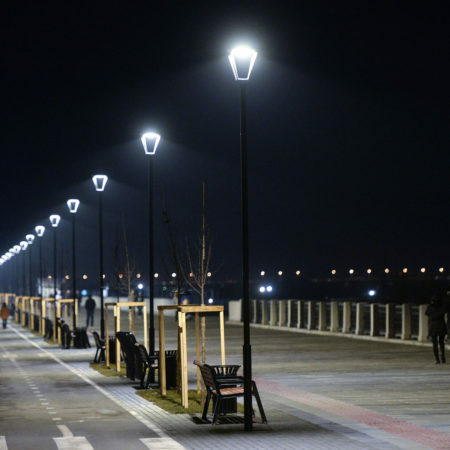 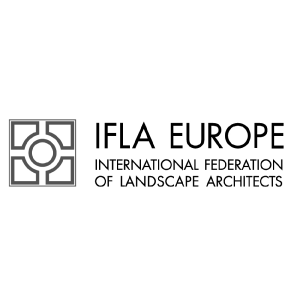 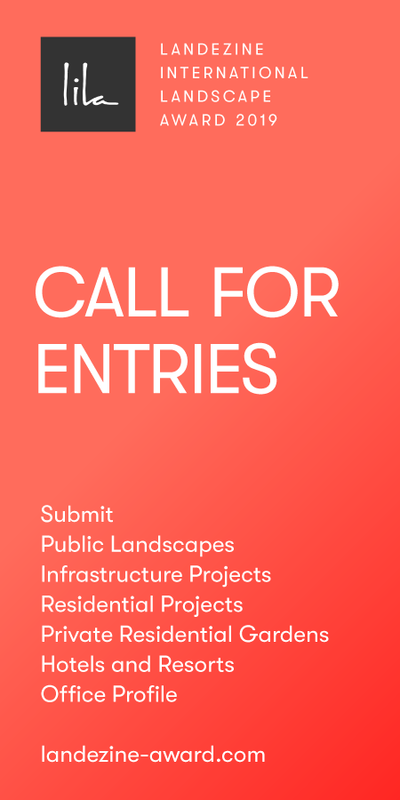 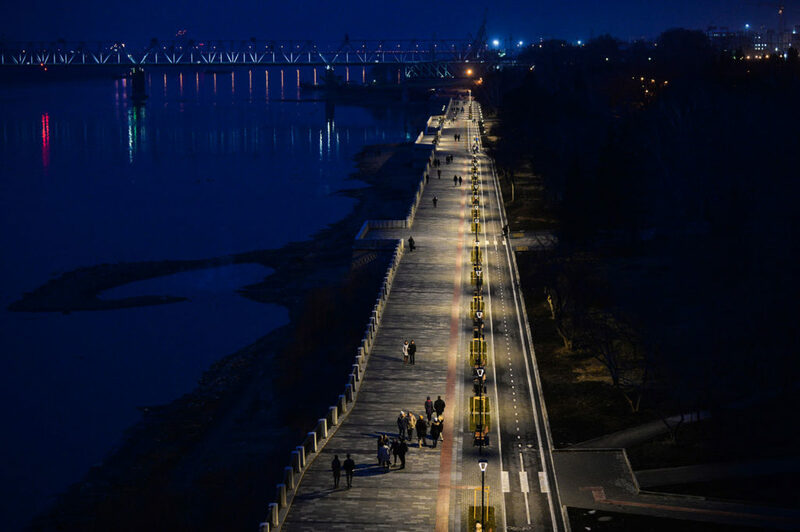 The main idea of the program is to identify and work with local experts and architects to create models of high-quality improvements for public places, for example, the renovation of the city’s main street, square, embankment or park. 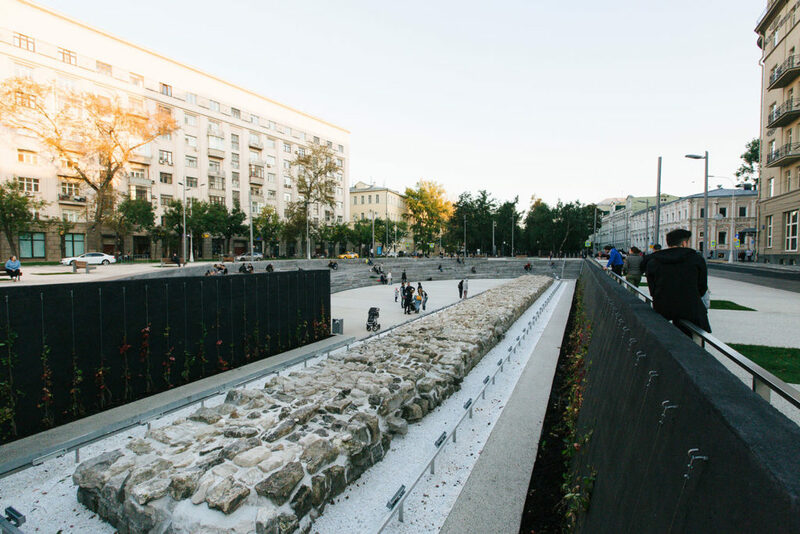 Based on Strelka KB’s analysis and developed strategies for a specific site, local architects are then engaged to create the actual architectural design to be realized in their city under the guidance of Strelka KB’s supervision. 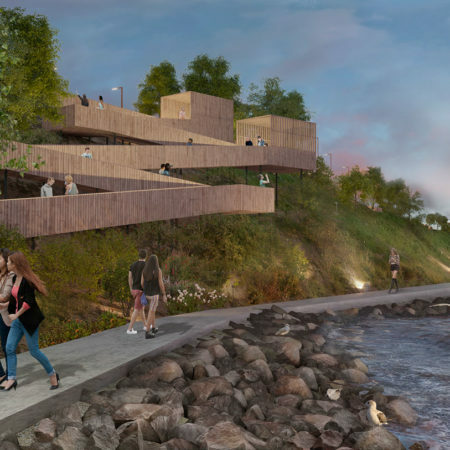 Often this is an emerging studio which makes for a win-win partnership that combines up-and-coming talent with Strelka KB’s expertise and international network of consultants.